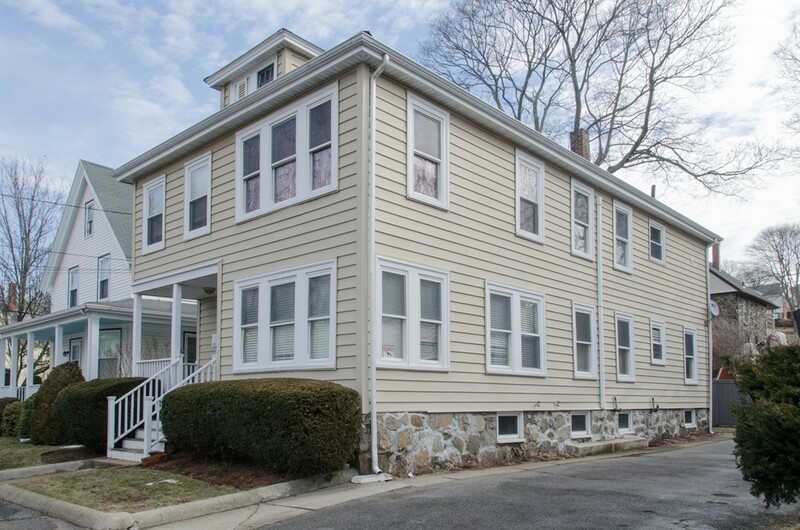 Easy living, first-floor Swampscott condo is well-maintained and move-in ready. Abundant natural light with a lot of windows. Hardwood floors throughout. Spacious, open concept Sunroom, Living Room, and Dining Room. Roomy eat-in kitchen with pantry, closet storage & all appliances remain. Sweet bathroom with vintage tiled floor. Two ductless AC units. Private front entry, front and back porches and 3+ designated tandem parking. Washer/dryer hook up in basement specific to the unit. Additional storage in basement. Convenient location within walking distance to the train station and nearby shopping, parks, beach and schools.